Bulletin board ideas and tips for making notice boards interesting and appealing. Bulletin boards are used within the workplace for communicating important information such as filing reports, finding out about meetings, and annual evaluations. 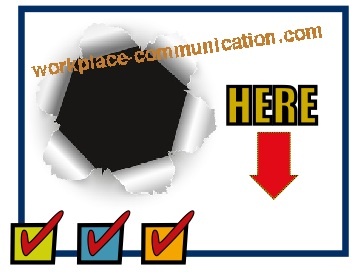 As part of the workplace communication tools, methods and techniques of creating a friendly vibe within the workplace though, the bulletin board can also be utilized for boosting morale and increasing rapport between the staff as well. Some basic ideas will help in creating a bulletin board that is more interesting. Most of the bulletin board decorating ideas can easily be applied with a limited budget and a little bit of determination. 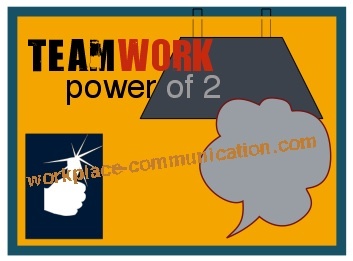 Coworkers and staff can be enlisted for communication board ideas to keep the bulletin board ideas flowing at all times. Creating new and unique bulletin boards each month can often be an exercise in frustration. It sometimes seems that there is nothing new for you to try. Don't despair! With a little creative effort you can find lots of monthly bulletin board ideas that can be used in the workplace. While you do need to give some thought to what you are going to prepare you also need to connect to your own imagination and creativity. No one ever said your bulletin board has to look just like someone else's design. Colors! Textures! Sounds! Fun Details! These are just a few of the ideas that you may want to consider using the next time you need to make a bulletin board that demands attention. You can save effort and energy by creating more than one bulletin board at a time. For instance if you create a Fall bulletin board the top layer could focus on back to school events for the staff who have children while the second layer deals with Halloween and Thanksgiving. Fun is the topic of the third layer. Keep the layers separated by a plain piece of poster board and when you are ready to change from one theme to the next you just have to remove the outermost layer. Use half of your bulletin board for new projects and new announcements. The other half can be devoted to displaying day to day news or outstanding assignments that employees have completed. Stimulate visual interest with colors and designs. Use different colored papers, streamers, or even scrap-book accessories to help you accomplish your goal of a visually exciting bulletin board. Homemade graphics and designs are special, but you can even find software programs that will create posters, signs and banner announcements. Interactive boards will often find favor with adults. Take a page from your local museum and encourage people to use the bulletin board and read the information by incorporating such features as Q and A sheets, manila envelopes, or lift-up flaps. Let readers of your bulletin board learn and have fun at the same time. Let your staff help with a bulletin board. Create 3D displays that include textured fabrics, natural items such as flowers and leaves, or other surprises. Use these boards as the reinforcement for good ideas or simply as a way to highlight a particular concept that you want people to remember. Use graphic elements, such as imagery of a hole, to create visual appeal. You could create a slogan such as ‘a whole new approach'. Overlay a piece of board or paper and cut a ‘+' shape in it and tear the edges away, creating a hole. Leave the hole black or place wording inside it. Try different looks for your bulletin board! Maintain interest by changing things up! Pay attention to color, border and themes! Look at the latest trends and incorporate them into your bulletin board! Let others help you complete a big project! Be open to suggestions and constructive criticism! Clutter the board with miscellaneous notes and papers! Keep the same postings up for days, or weeks, at a time! These are just a few of the ideas that you can use to make a bulletin board that will capture the imagination and interest of your intended audience.